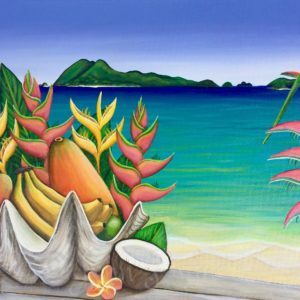 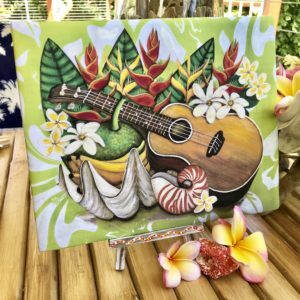 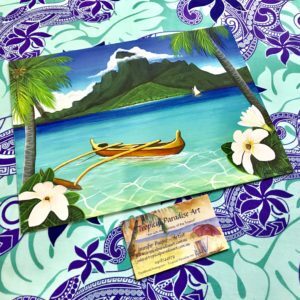 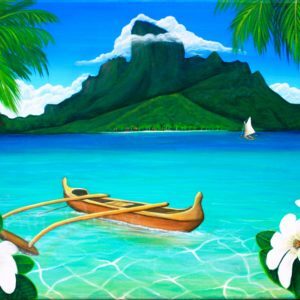 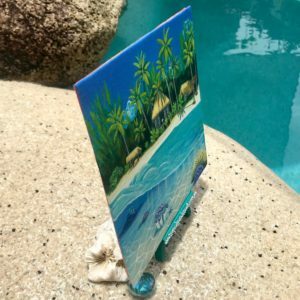 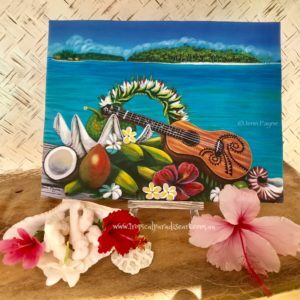 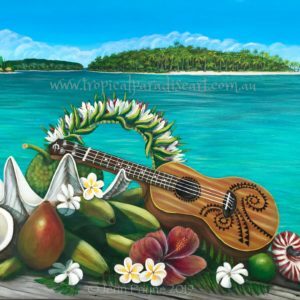 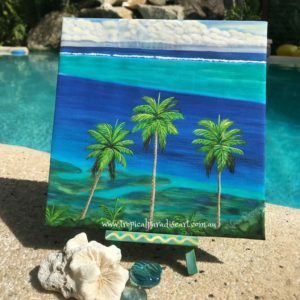 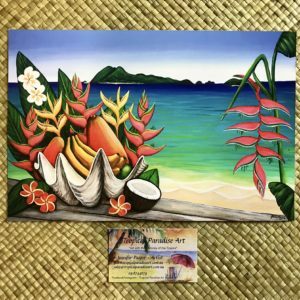 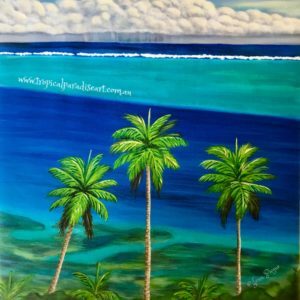 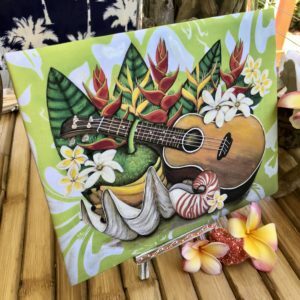 All Tropical Paradise Art Prints are printed on quality fine art paper or fabric. 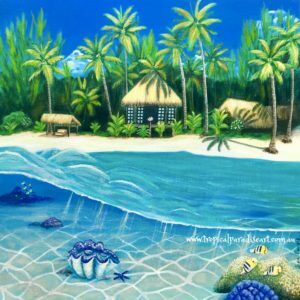 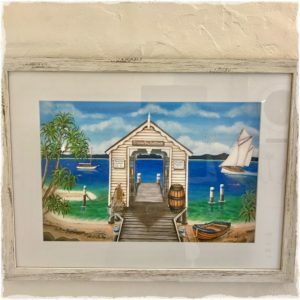 “Blue Heaven Island” Mounted Print on Stand. 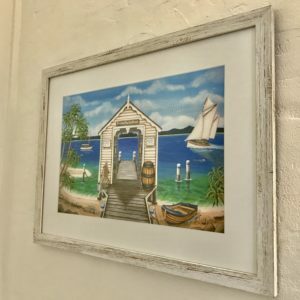 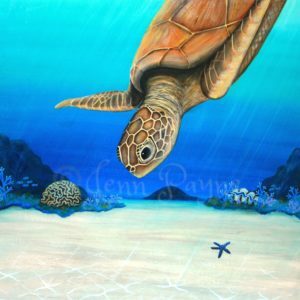 Art Prints are an affordable alternative to Original Paintings.